Smart Scan, a powerful QR reader & Barcode Scanner that supports all kinds of major barcode formats. 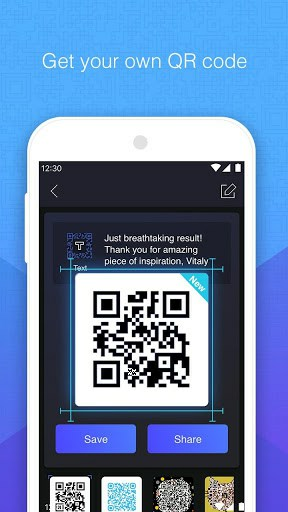 Try to scan code in a much simple way!Smart Scan is extremely easy to use; simply point to QR or barcode you want to scan and app will automatically detect and scan it. No need to press any buttons, just take photos. Document scan is available! Let’s enjoy it!